Our aromatic Macadamia Nut Shortbread diagonally dipped in magnificent milk chocolate has become a much-loved, must-have favorite. This celebrated confection arrives in a lovely gift box, from which there are three to choose. I visited the BIC in Hilo on my vacation because of a recommendation of a friend. I wanted to get my employees something from Hawaii and you guys and gals made it virtually seamless. The gal that took care of me made the process very easy and the cookies arrived just as we had agreed to. I will definitely be order during the holidays and special occasions for my clients, employees and family members. P.S. The dipped short bread cookies are absolutely the best. You would appreciate them even more if you go to the factory in Hilo and see how they are made. This is a must see if you are traveling. OMG! These are the VERY BEST! I moved to South Texas area (Orange Grove) about 40 miles west of Corpus Christi, Tx in June 2014. 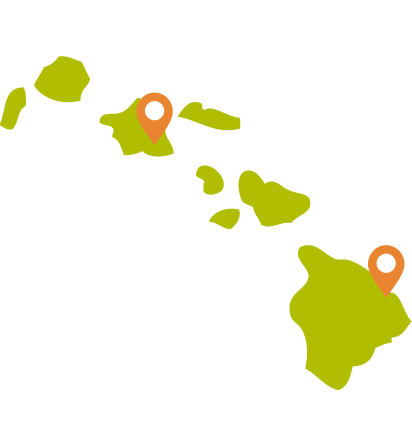 I have lived in Kona, HI since 05/1990 and moved back to Texas in 06/2014 due to health issues and my husband is over age 70. We bring many friends and families to shop at this store whenever we are touring the Big Island. I started ordering the Signature Shortbreads in November 2016 and will continue again this year 2017. My families and friends loved your products. I really love these cookies. My friend bought me a large box back from Hawaii and I ate the whole box by myself and in a week, that is how delicious theses cookies are. That is my order every time, when my friends go to Hawaii.